Archival Storage is currently an add-on product in Beta. This will be accessible in your Billing Page. If you do not see the option, contact Support to get on the Beta waiting list! 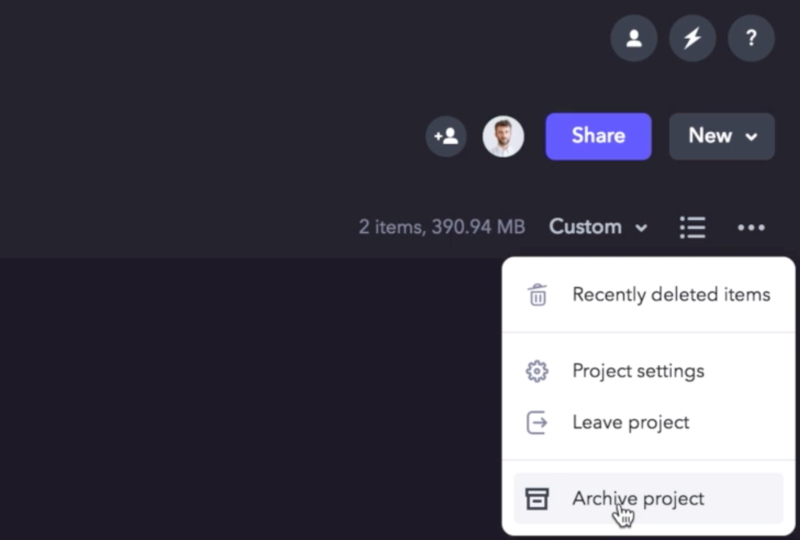 Store your finished projects in Archived Projects by selecting the option from Settings. When archiving a project, it's being sent to long-term storage. The low resolution proxy for video and audio files will remain available for viewing and sharing. If a proxy clip wasn't generated for the asset, the full file will remain accessible. Once a project is archived, no other assets can be added to the project. While Review and Presentation links are able to shared, downloading options cannot be accessed while a project is archived. Assets and Projects that are archived will be viewable in the search results and will have the Archive icon next to the name. It will take 3 to 5 hours to unarchive (or retrieve) a project. You will be notified via the in-app notification and also email when unarchiving is complete.